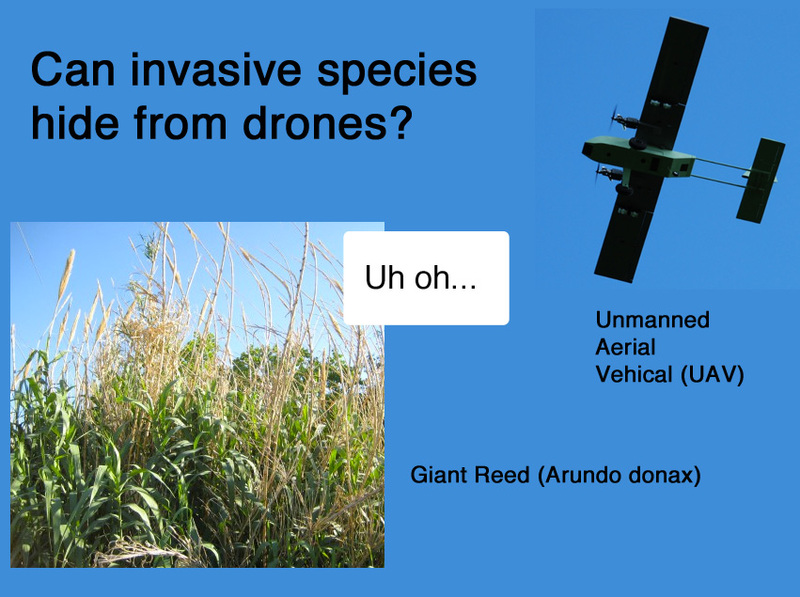 Can Invasive Species Hide from Drones? Researchers are using drones to take photos of seabirds and island vegetation. They’ll use these images to determine how to manage native and invasive species. The Drone Report: Do Unmanned Aerial Systems Have a Place in Hunting and Fishing? Plants show different signature colors under infrared light. If they have a high photosynthesis production, they will look brighter. Because of this, farmers can use drones with infrared detectors to spot invasive species with specific light signatures. The university is using small, autonomous unmanned aerial vehicles (UAVs) to manage invasive plant species, mapping riparian and river habitats, and more. In this year’s Real World Design Challenge, student teams are designing a drone to find invasive species that are attacking Iowa’s corn crops. You can learn more about drones this Friday, November 21, 2014, with the latest Hot Science – Cool Talks presentation, Drones: Myths, Facts, Hacks, and The Future, by Dr. Todd Humphreys, Assistant Professor of Aerospace Engineering and Engineering Mechanics with the University of Texas at Austin. The presentation starts at 7 pm in Welch Hall, but be sure to arrive early, since fun science activities will start at 5:45 pm! Dr. Humphreys will talk about how we can use drones in the future and how that may be different from how movies portray drones. He and his team were the first to show how GPS hacking can take over a drone. The invasive plant Giant Reed (Arundo donax) better be on the lookout!